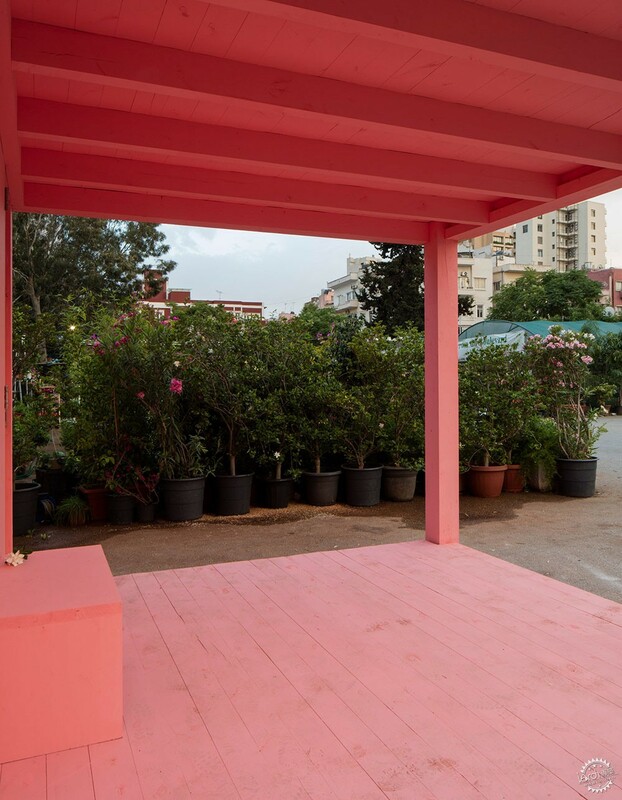 Lebanese designer Nathalie Harb created this pavilion for Beirut Design Week to give residents of the city access to silence. 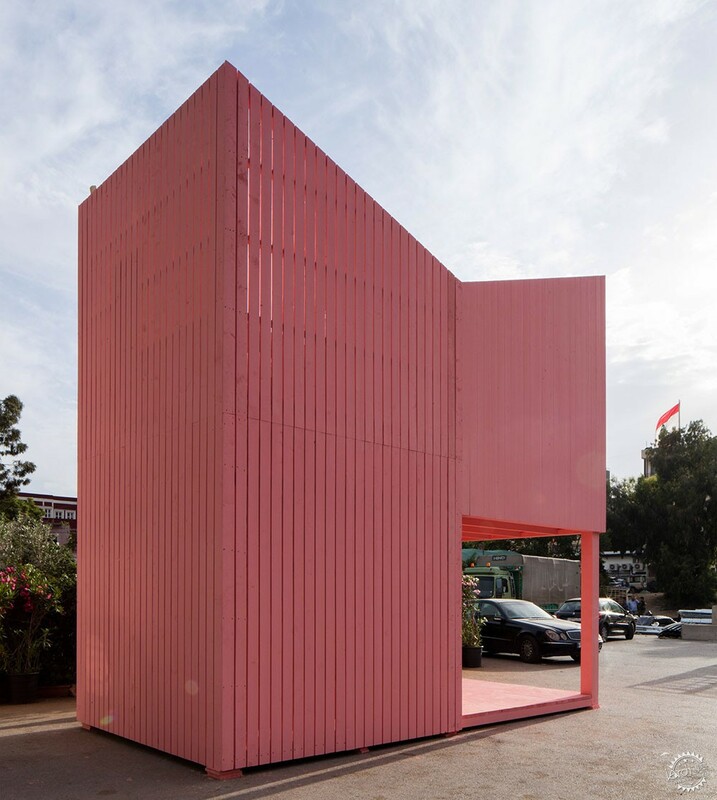 The pink wooden structure, dubbed the Silent Room, sits on a parking lot beside a busy highway in Beirut. It is intended to provide residents and visitors with a "cocoon-like environment" to escape the surrounding noise from traffic, construction sites, electronics and crowds. Noting that silence is "an exceptional privilege only a few can indulge", Harb has opened the Silent Room to the general public to access for free, individually, for up to 30 minutes at a time. "Our cities are often configured in such a way that underprivileged communities are the most affected by higher noise pollution – think roads, airports, industry," said Harb. "Urban segregation can be mapped through noise variations across the city. Noise pollution, as experienced differently between rich and poor inhabitants of the city, represents a social injustice." 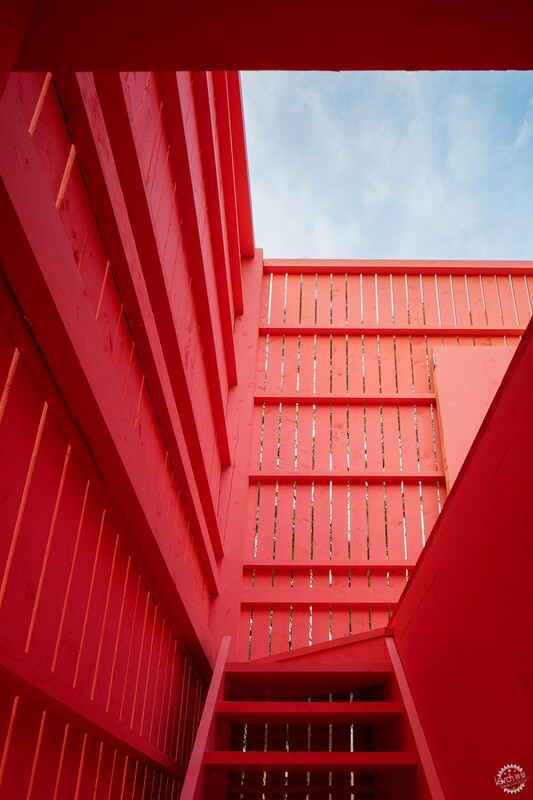 Harb worked with London-based architecture collective BÜF to create the structure. She also called on sound designer Khaled Yassine to create a soundtrack to the space, which is not actually silent. 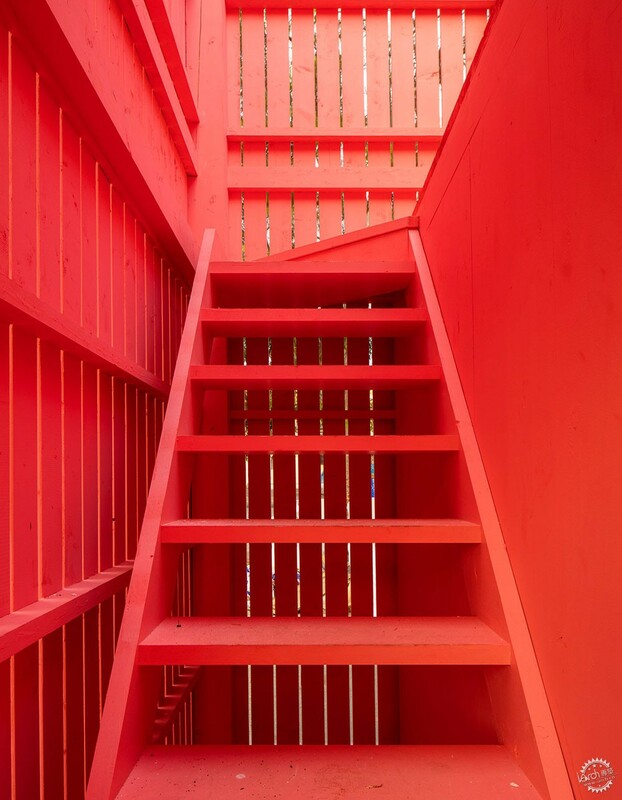 Instead, to counter the noise bleeding in from outside, the Silent Room plays a composition based on recordings of the city at its quietest hour. 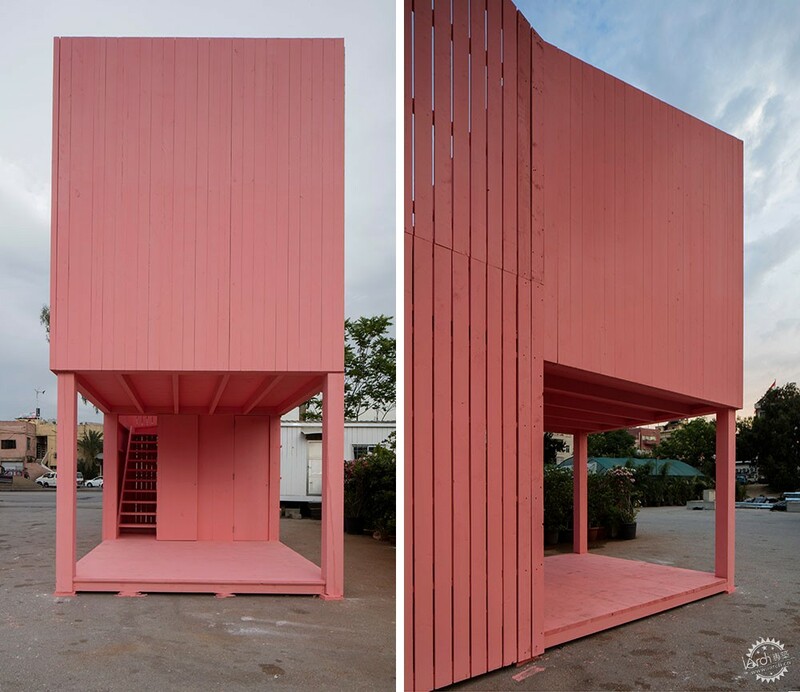 The installation is painted in a shade of pink, which is something of a colour of the moment and was widely seen at Milan design week 2017. Harb, who works primarily in set design and installations, chose the hue to challenge the usual association of calm with cool colours. 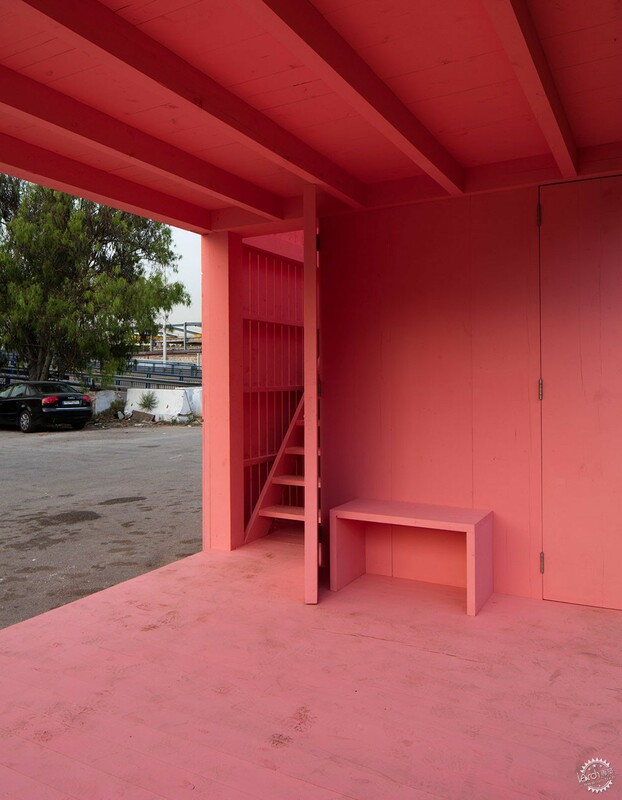 "The colour pink is a soothing colour," Harb told Dezeen. "Its hue is the closest to the skin or images of the embryo." "And it is somehow a colour unexpected for silence, usually associated with more austere colours." The Silent Room will remain in place at the parking site between Mar Mikhael and Burj Hammoud until 27 May. After this, Harb will look at reconfiguring the installation for other cities. The site is near the main Beirut Design Week venue of KED, which hosted exhibitions until 26 May. KED's programme included Speculative Needs, an exhibition of conceptual student projects anticipating the products humans might need in a dystopian future. Calming and meditative spaces have been a recurring theme at recent design weeks. 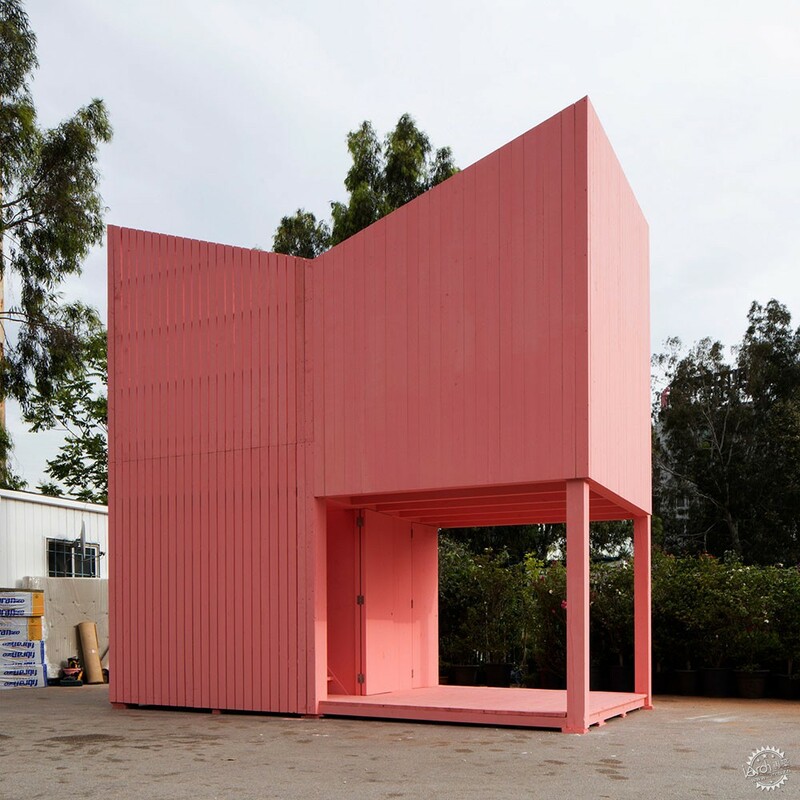 Asif Khan bought three leafy Forest pavilions to the London Design Festival in late 2016, while SHoP architects' Wave/Cave was an immersive terracotta installation intended to give visitors to this year's Milan design week a moment of solace.